It’s been long since I last posted here on the Redhotmustang blog, but here I am again! I’ve been incredibly busy with other projects on the past few months but I still had a few opportunities to do some drawings while I was away. In fact, not so long ago, I had the need to create an infographic for one of those projects. The thing is I really didn’t have that much time to create its entire design. So I decided to ask someone else to take care of that for me, after doing the necessary research for the infographic’s bullet points. As for the illustrations I quickly drew them myself. The infographic’s title is “10 Amazing Secrets Your Feet Actually Reveal About You”. It’s a funny and great looking (allow me to brag a bit about it, please) piece of content about how different foot and toe shapes can tell a lot about who we are. It was originally published on the Health Listed website and it has already generated hundreds of social shares. Ok, without further ado, here is my infographic! I think my drawings of the different feet and toes look really nice. It’s true that some are more cartoon-like and others not quite but overall I think my work is acceptable, at least. What’s your opinion about the outcome of this quick little project of mine? Do you like it or not? What else could I have improved? This entry was posted in Cartoons on June 7, 2016 by redhotmustang. My friends, as you probably already know Madonna fell down during her perfomance at the Brit Awards 2015. She was singing «Living For Love» while wearing an Armani bullfighter cape and, let’s face it, she was asking for it. Oh, she was clearly asking for it because… when you get dressed like that it means you’re a bullfighter (BTW, I hate bullfights) so you are pretty much in trouble. Sooner or later a big bull will come your way. Knowing this I decided to be one of Madonna’s dancers and joined the fun. As I know you know, me and the 56-year-old hottie go way back so I saw no reason why I shouldn’t dance with her and the rest of the guys. But I did more. To follow the bullfight theme I decide to call the bull. You can do it in English ‘here, bull, come here’, in Spanish ‘eh toro, toro’ or even in Portuguese which is cutter as they use to call him by pretty little bull ‘eh tourinho, eh touro lindo’. What I did not know and I bet you didn’t know too was that amongst the audience there was a real life white bull. And so this was what really happened. This is the real reason why the american blondie fell down during her performance at the Brit Awards 2015. 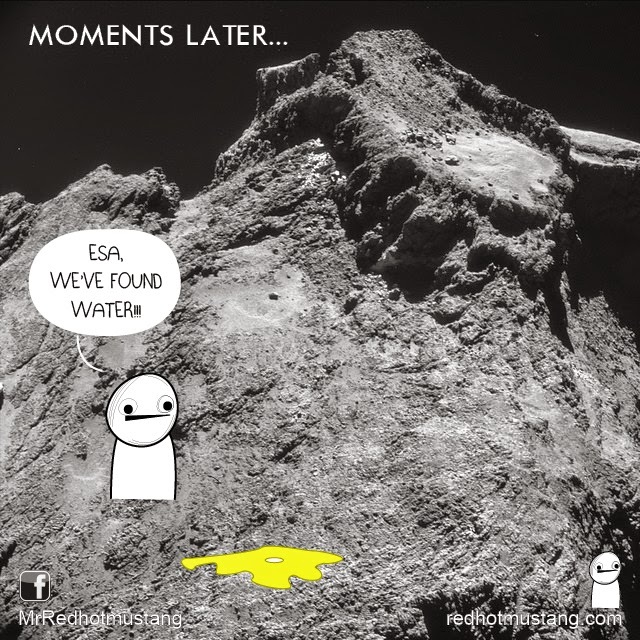 This entry was posted in Cartoons on March 4, 2015 by redhotmustang. 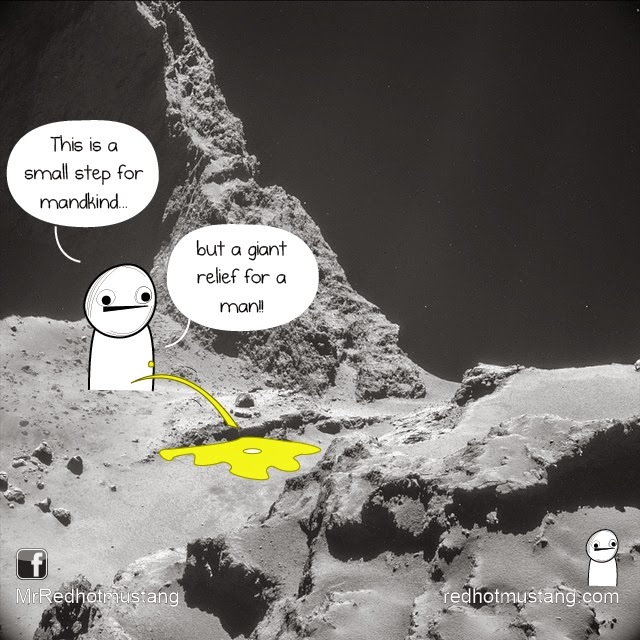 Here’s a new episode of «Flip, Noodle and Nut», a web comic by redhotmustang. (Actually it’s the first one here on the website, but who cares?) These three fellows are real, they live in my mind and I can hear them speaking everytime I use the toilet for #2. And sometimes, in those dark nights of full moon, during #1 too. 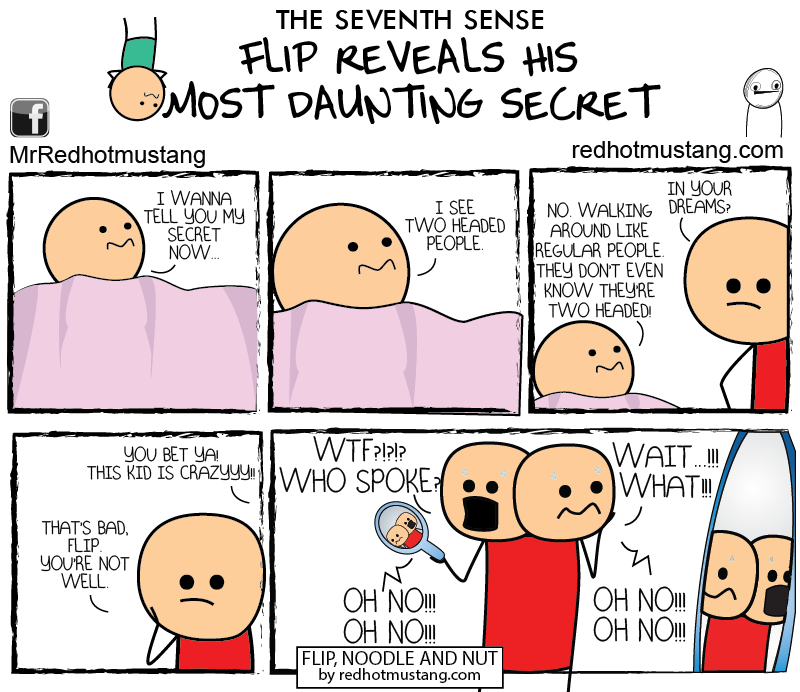 Flip finally comes forward and reveals to Noodle and Nut one of his most daunting secrets. He has a seventh sense. Something that will make you shiver in fear. Noodle and Nut listen what Flip tells them and suddenly their wonder world falls apart. 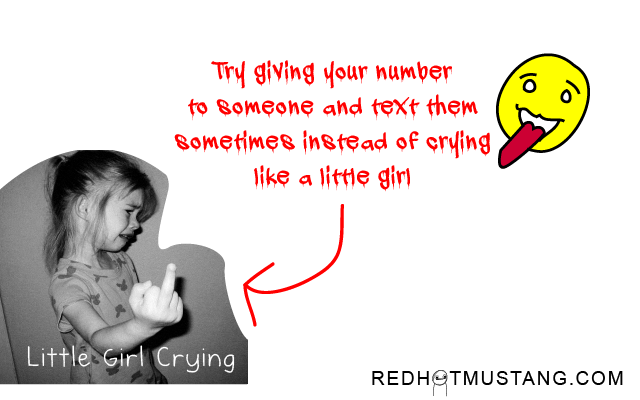 This entry was posted in Comics on January 8, 2015 by redhotmustang. Today, after a 10-year trip and over two decades of planning everything meticulously, ESA is proud to announce a very much expected and dreamed feat: Redhotmustang has finally landed on comet Churyumov–Gerasimenko. His first words after the sucessful landing are unforgettable and will live on for centuries to come. Redhotmustang has also an important and exciting news to share with the world. 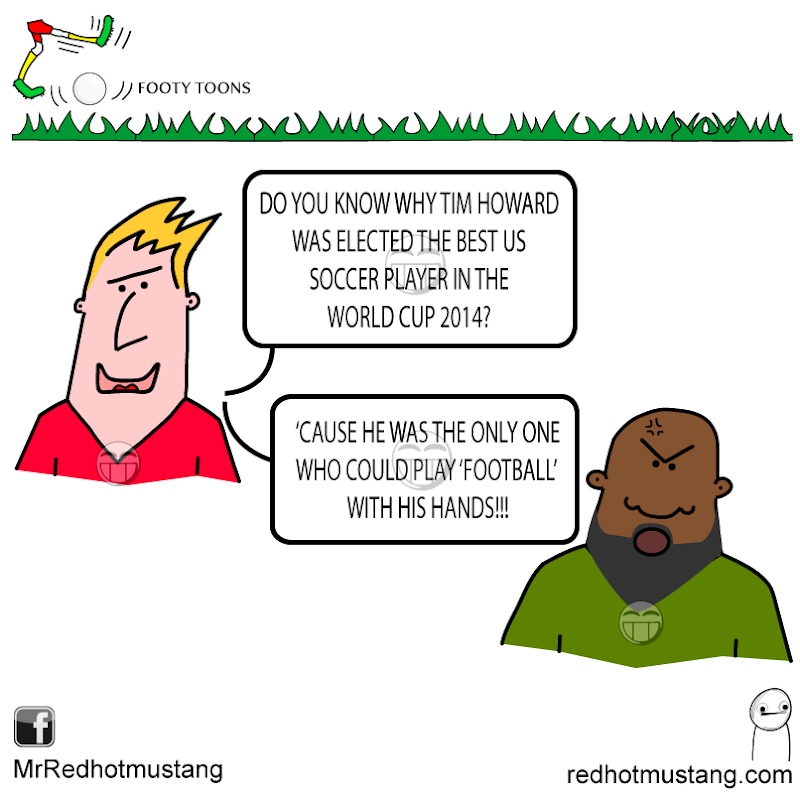 This entry was posted in Cartoons on July 4, 2014 by redhotmustang. 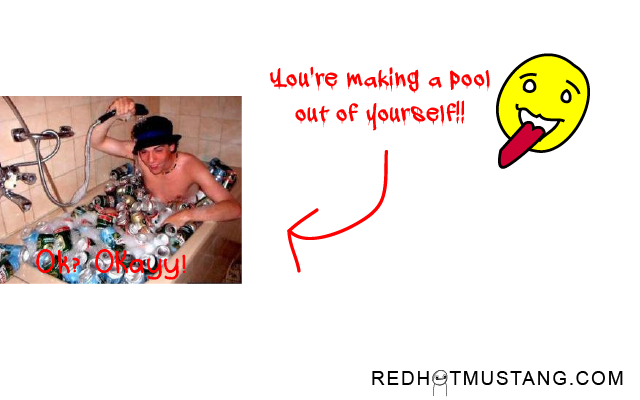 This entry was posted in Montages on January 24, 2014 by redhotmustang. 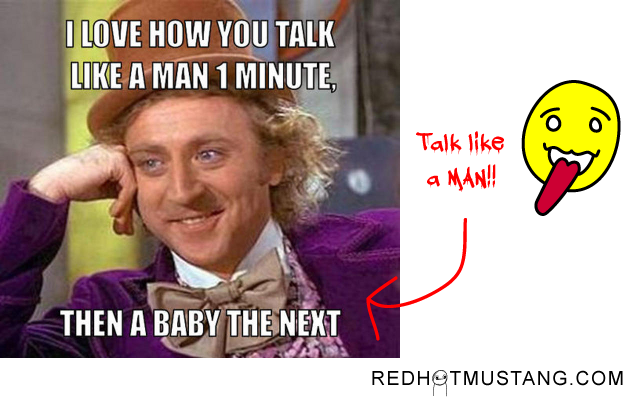 You’re such a little boy… GROW UP! Anti-teenager post and so deeply unrelated post. 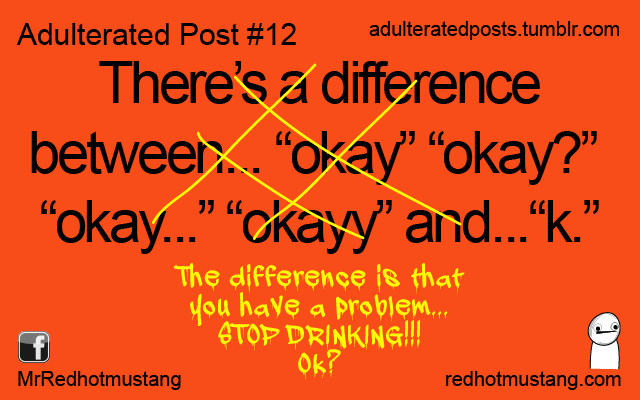 This entry was posted in Adulterated Posts on January 10, 2014 by redhotmustang. There’s a problem with this teenager… and I know what the problem is. 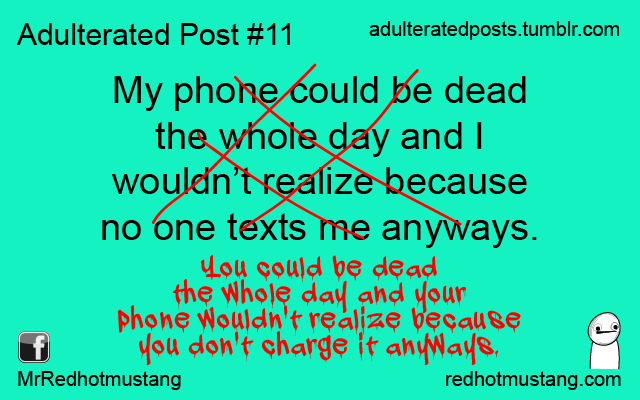 This entry was posted in Adulterated Posts on December 18, 2013 by redhotmustang. 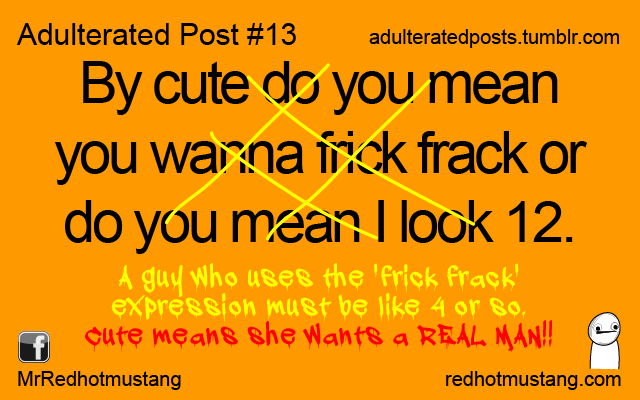 This entry was posted in Adulterated Posts on December 11, 2013 by redhotmustang.